Shrewsbury Town will be playing in League 1 next year despite a final day 3-1 defeat by AFC Wimbledon but that won’t stop the fans celebrating a fantastic season. Graham Turner had just won the April manager of the month award and would have been hoping to end the season on a high but it wasn’t to be and he will be looking forward to competing in a higher division next year. He will be proud of his team’s home record this year as they have gone unbeaten and won 18 of their 23 games while only conceding 12 goals. It was their home form that has got them promoted with their away form being slightly inconsistent, only winning eight games and losing 10 of them so if they want to succeed next year and avoid relegation they will need to improve on this, although if they win eight games away from home next year I would expect them to stay up. But onto the players and they need all the experience they can get as moving up a division is never easy and there could be some strong teams in League 1 next year although the club will be happy that both Charlton Athletic and Sheffield Wednesday got promoted. Maybe the fans and players were hoping they would not as they would love to visit those stadiums. But they do have players that have been there and done it before like defender Shane Cansdell-Sheriff who came through the Leeds United academy and went on to play for Tranmere Rovers for a couple of seasons. He has played 36 of their league games this season and his versatility could be very important next season with him able to play at both left back and centre back. Also three goals from him this season have been an added bonus. Midfielder Nicky Wroe has impressed me whenever I have seen him play this season and I remember him coming through at Barnsley where I thought he would become a mainstay of their side for many years to come especially after playing 35 times for them in the 2004-05 season. But unfortunately it didn’t quite work out for him, so now the 26 year old is working his way back up the leagues and scored four goals in his 37 appearances this season. He can grab a goal from midfield and he may be slightly disappointed with his return but if he gets the chance next season I think he will get a few more goals. The top scorer James Collins will be looking forward to next season as he has proved that sometimes leaving a Premier League side, in Aston Villa, where he was never going to get a chance and joining a team in the Football League can really kick start your career. He has impressed this season and will be hoping to build on his growing reputation next year and show even more teams they should have took a risk on him. 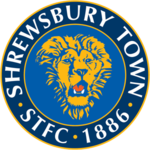 It will be difficult for Shrewsbury next year but they have the foundations of a good squad as I haven’t even given a mention to winger Mark Wright who can grab goals from the midfield and also Matt Richards who is too good for League 2. Also adding the firepower of Marvin Morgan there is a real chance they will surprise a few teams next season and they have the experience of Graham Turner in charge and he will not allow his team to give up without a fight and will make them battle for every point.